From the Fukuoka idol group I’S9 comes the solo debut of miyu! “Koi Oto” is incredibly fresh and cute, and miyu totally won me over with her cute smile and earnest performance. 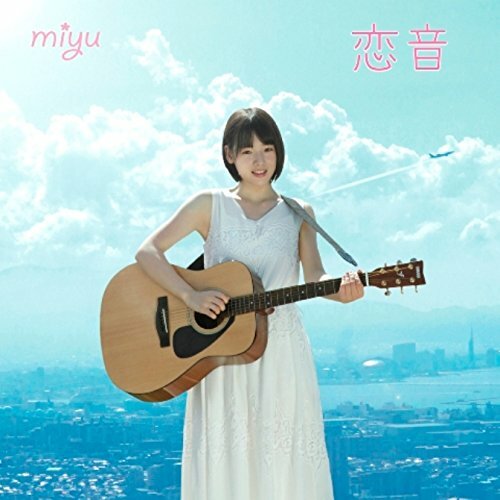 The song treads in light pop territory with miyu’s guitar heard all through the production somewhere near the back of the mix. I tell you, if you don’t fall in love with the scenery of rural Japan in the background you don’t get me. If miyu riding the train with the ocean behind her doesn’t work for you, you don’t get me. If the sun drenching miyu in haloed morning rays doesn’t please your eyes … you know. You also might be interested to know that this 17 year-old girl also penned the lyrics to this song and the CW track, “Countless Pieces”. miyu’s debut release “Koi Oto” arrives on December 23, 2016.